Stylish and classy. 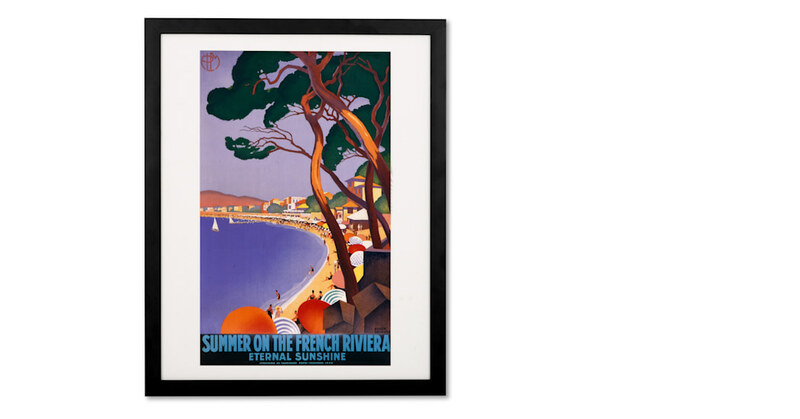 That’s how you’ll feel with this Summer on the French Riviera by Roger Broders print hanging on the wall. Capturing the players' paradise, this print will inject a relaxed feel into any space. The beautiful blue Mediterranean sea. Tourists on yellow sand. You’d rather see this view when days are grey. Place your print in the living room to boost the mood with its warm tones.